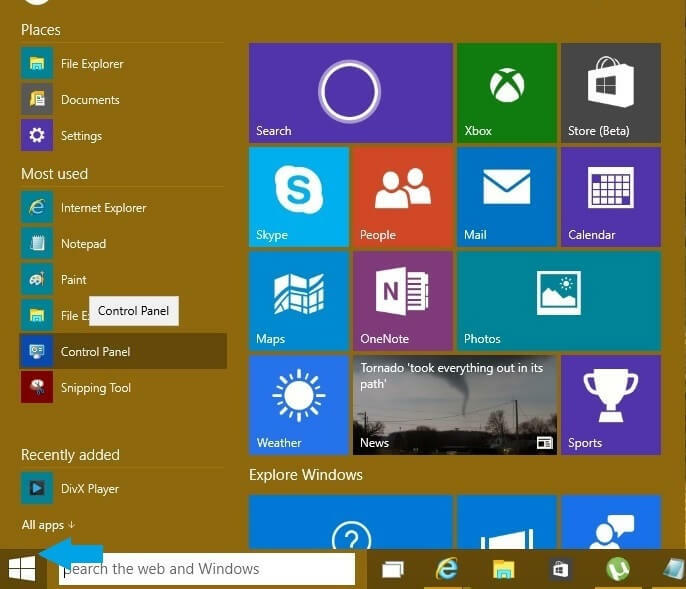 Step 1: Go to the start menu and click the control panel option. In the control panel select the Mouse option. Step2: A mouse property dialog box will be displayed. The dialog box consists of different tabs each having different mouse settings. Double-click-speed allows you to configure the speed with which you can double click. If you are not able to open a folder or document correctly, probably you might want to check this setting and change it. With the ClickLock option you can highlight or drag without holding down the mouse button. 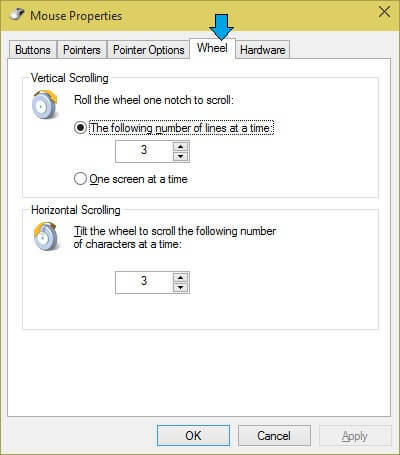 Pointers – This option gives you a ability to change the cursor of the mouse. 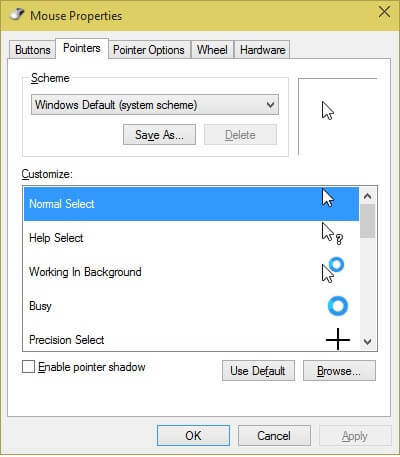 Refer to How to change the mouse cursor post for more details. 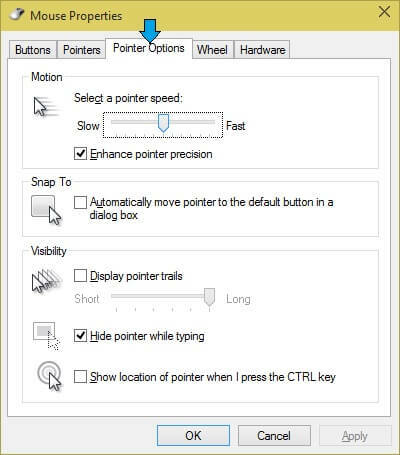 Pointer Options provides the settings for the speed and visibility of the Mouse. Here you can enhance the precision of the pointer by selecting the precision checkbox and the speed. The visibility section has some useful settings to how the mouse appears on the screen. Wheel tab holds the option to configure the scrolling speed. You can adjust the horizontal as well as vertical scrolling speed. To adjust the vertical scrolling you can select the number of lines or the option to scroll entire page. For horizontal scrolling you can select the number of characters. 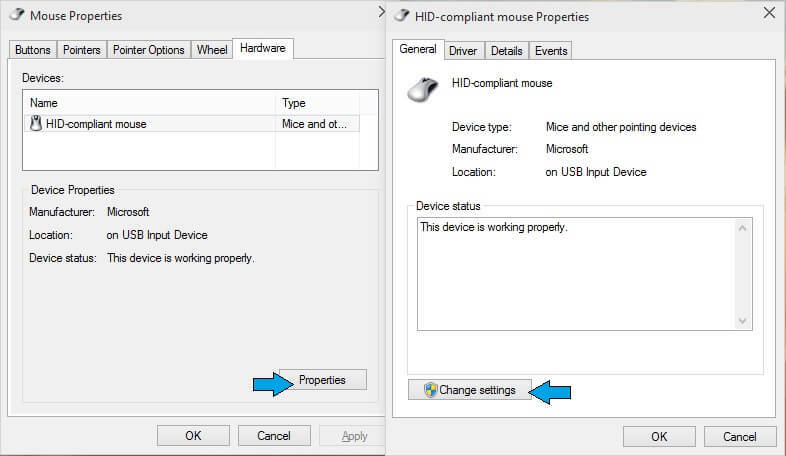 Hardware options is where you can check the hardware details of the mouse and device driver. Click the Change property button to change the hardware properties. Step 3 : Once you change the settings as per your requirements, click the apply button for the changes to take effect.